I did a big mistake and bought a cheap bike for casual use. On my first ride I fell down on to the right side of the bike. 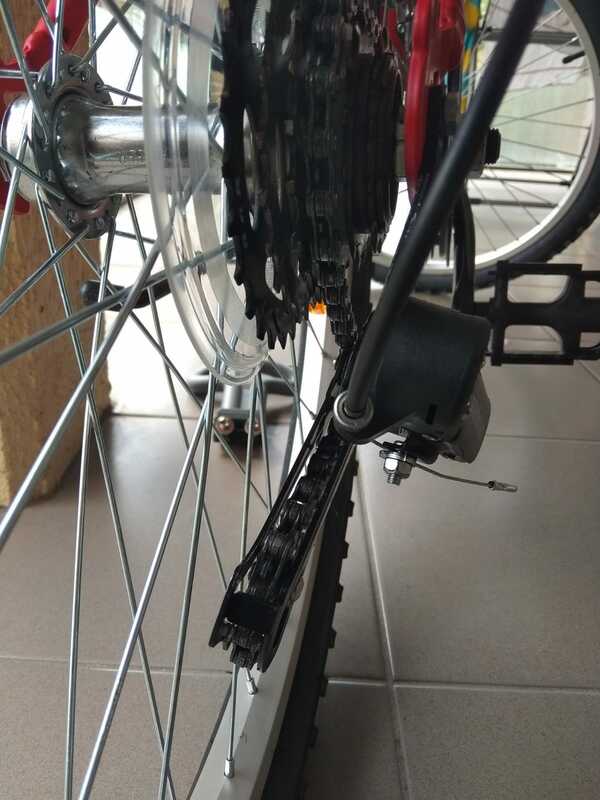 I am not sure if it is this fall or just that the bike is poorly assembled but as can be seen below the derailleur is not perpendicular and is too close to the wheel result in touching the spokes when I shift to larger cogs. I have looked up videos on youtube and they seem to about bent derailleur hanger. However the gear system shown on you tube seems to be different than what is at my bike and I am not sure if it is really applicable in my case. Any pointers on how I can fix this myself. I am not keen to approach LBS since they will not been keen to work on this bike being cheaply bought etc. Your problem is the thick sheet metal derailleur 'hanger' is in fact badly bent. On cheaper model derailleurs the hanger is built into the derailleur rather than the frame. Don't ride it in this state, the derailleur getting caught in the spokes will smash it and probably damage the wheel too. Also the chain may catch in the cage with similar results. You should be able to take the bike to a repair shop and get professional and courteous service, no matter what bike you are riding. Your money is as good as anyone else's. If you want to address it yourself, all you have to do is bend the derailleur back. If you turn the bike upside down (on something soft that will not mar the seat or bars) you can look down the line of the chain. The derailleur cage should be parallel to the chainrings. Hold the derailleur at the top, not by the cage, you don't want to bend it. You do want to be careful because the hanger will only be able to take so much bending before it get weakened. Not the answer you're looking for? 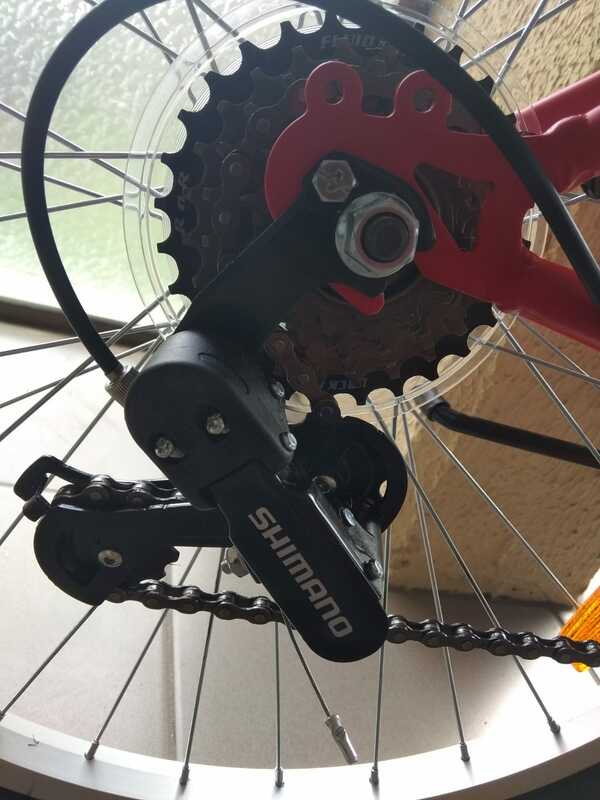 Browse other questions tagged gears bso derailleur-hanger or ask your own question. Why is 2nd largest rear cog making clicking noise? (Automatic Bike Project) amount of torque required to change gears? Carrera Virtuoso Rear Derailleur hanger bolt hole with HeliCoils? How to mount a derailleur hanger on this frame?